Before Zone 5300 there was Barwoel. Tonio van Vugt was the man behind this photocopied comiczine. The 34th issue was a cassette tape and I think it was the best issue. 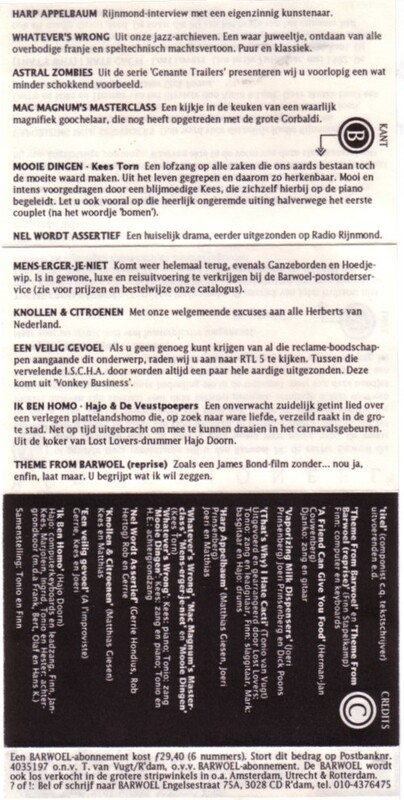 Of course The Lost Lovers, Tonio’s band, is on the tape, but for today’s soundtrack I choose ”Ik ben homo” door Hajo & De Veustpoepers. Of course this song will be on the Dutch Gay Songs Compilation CD Box. Zal wel marktplaats moeilijk e.d. worden maar toch even informeren of deze tape nog ergens te vinden en aan te schaffen is.